Gary Amara joined PPT in 2014 after studying improv with David LaGraffe. He’s a natural! He’s acted in theater since high school and college, with a 2015 performance at Lyric Theater in So. Portland. He plays guitar and Middle Eastern drums and has been a leader with PPT in bringing song to its performances. Gary is also an expert photographer and does film and audio production. Gary teaches math at Waynflete School and Southern Maine Community College and has his own math tutoring business. He grew up in Connecticut and has lived in Maine since 1998. Gracie studied and performed improvisation for twenty-five years. She trained with ImprovBoston, Second City, Laughing Stock Comedy Company, Oak Street Theater, Tim Ferrell and David LaGraffe. A former member of the Portland Comedy Connection Improv Company, she was also a Downeast humorist and storyteller. Gracie has retired from acting and conducting but is occasionally called in by her buddies at Portland Playback Theatre to fill in. She still handles all the money for the company, which she thinks gives her great power. Gracie lives with her husband, Mike, in Westbrook. I love to listen to and tell stories, to play, to laugh and to cry, to aspire to live in the moment, to perform. I have had the good fortune to indulge in these passions on the stages of various community theaters, in my office as a play therapist for both children and adults, with my family and friends, and now, doing playback. Heraclitus said, “Man [or woman!] is most nearly himself when he achieves the seriousness of a child at play.” This is what I strive for in playback. Erin Curren has been performing with Portland Playback since January 2009. In addition to teaching a revolutionary fitness class called Nia, Erin enjoys a variety of performance work, decorating her bedazzled taxi-inspired car (the Gypsy Crib), and going on adventures with her husband, Bob. Erin believes that every person is creative and that the world is a more joyous and saner place when each person is encouraged to express his or her inner artist. Erin believes that we become more whole, more alive, when we open up to one another, uncovering the connections that are ever-present between us, be it on stage, on the dance floor, in deep conversation, or at a stoplight! Kym Dakin has been a working creative for over 25 years. She spent a decade in New York, where she appeared on and off Broadway and in regional productions throughout New England. In Maine, she was a company member of Madhorse Theatre and in productions at Portland Stage Co. She has taught theatre at PSC, as an original member of the Acorn School with David LaGraffe and Michael Howard, and for 7 years with the Maine Summer Dramatic Institute, as well as adjunct faculty at Bowdoin College. Kym is currently an Audio Producer with Portland Radio Group, and the Director of Voice Into Learning, LLC, a company dedicated to experiential training in a variety of business and educational settings. She has recorded over three dozen audiobooks, and won a national award - The Audie for narrating Runaway by Alice Munro. Colin started acting with Playback Theater in 2010. This was his first experience in the performing arts. He quickly realized this was the missing piece of the puzzle. Improv was the first outlet that helped him make sense in the world. Along with his ability to sink into another persons story, he also has found a place in Playback for his love of song. Though he is the youngest member in a troupe of incredibly deep and talented people, it has been said that in shaping his words and voice to capture the heart of a story he often appears wise beyond his years. Marcia Pitcher has been a player with Portland Playback since its inception. She has also enjoyed several roles in community theater productions. Her favorite roles were Conrad in Much Ado About Nothing and Puck in A Midsummer Nights Dream; both at the Bread Loaf School of English in Vermont. 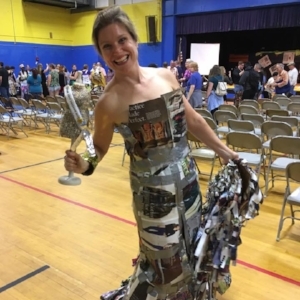 She has a theater/literature degree from Bread Loaf School of English and teaches a theater class at York County Community College. 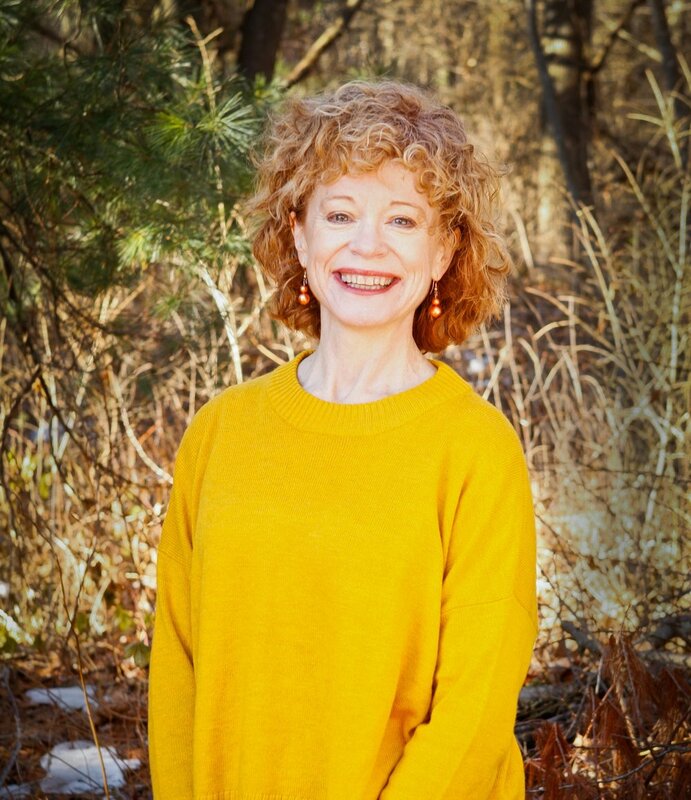 She lives on Munjoy Hill and has a boutique spa called, “Munjoyous…Your Neighborhood Oasis”, where she and her husband, John provide quality skin care, nail, massage and polarity services. Sandra is an expressive therapist with a specialization in dance movement therapy; a practice that helps people break free of mental chatter and patterns that no longer serve them in the world. She has her own non-profit, Origin Movement offering body based healing. She helps lead people back to their bodies, providing a safe space for inner listening, exploration, play, and transformation. Sandra believes in coming home to the body to listen more deeply, become present and live a fuller, heart– felt life. A few years back Oren joined an improv class on a whim. Soon enough he realized he had found his people. Being on stage came late in life for Oren, not until his mid thirties while working on his MFA in nonfiction did he also begin dancing with Vivid Motion dance company and singing tenor with the Blue Lobster Community Chorus. By the time Oren found Playback he was able to blend his passion for movement, singing, and storytelling as a way to build community. While he loves to laugh, Oren cherishes the opportunity to playback a full spectrum of emotional stories. When not doing Playback, Oren works at Wayfinder High School, a boarding school for students at risk of non-completion, as the Residential Campus Director. The late David LaGraffe introduced Jess to improv in the spring of 2016 ... she immediately fell in love and was thrilled when he invited her to audition for Portland Playback Theater a year later. When she is not on stage you are apt to find Jess jumping around on a dance floor, playing outside, savoring tasty bites around town, or guiding retirees through a yoga class. 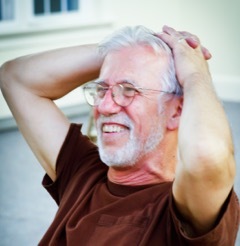 David taught Improvisation for over twenty years and studied with improv guru Keith Johnstone and Jeff Wirth of Wirth Creative. During that time he moved away from an emphasis on improv comedy, focusing instead on interactive improv: the theatre-based exploration of the dynamics of the interpersonal. David was owner of Lights Up Improv, a school of improvisation in Portland, Maine. He also led workshops in applied improvisation for various organizations and businesses. He is dearly missed.